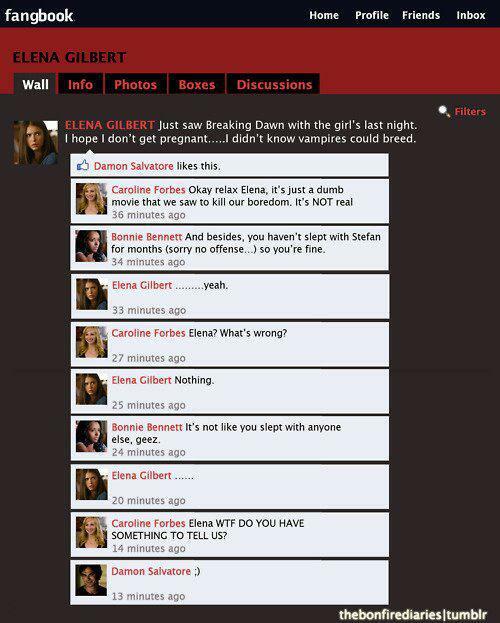 Elena Pregnant?. . Wallpaper and background images in the Damon & Elena club tagged: the vampire diaries damon salvatore elena gilbert delena. hahahahahah Damon is the best! Lmfao! Oh dear elena, how on earth are you going to get out of this one hm?